Update, 12:15 p.m.: Markets have closed in Europe. The pound finishes the day after “Independence Day” at a seven-year low. It’s down 8.4 percent against the dollar so far today, the biggest drop on record. It’s true that the pound has fallen by a lot compared with normal daily fluctuations. But for those of us who cut our teeth on emerging-market crises, the fall isn’t that big – in fact, it’s not that big compared with British historical episodes. The pound fell by a third during the 70s crisis; it fell by a quarter during Britain’s exit from the Exchange Rate Mechanism in 1992. And the UK stocks? The FTSE 100 recovered from a horrific opening, and it’s higher now than it was last week when Brexit fears were at their worst. The FTSE 250 fell by more than 7 percent, which is line with Germany’s DAX (down 7 percent) and France’s CAC 40 (down more than 8 percent). One group that did particularly poorly were banks, in the UK and on the continent. Bloomberg’s Europe Banks and Financial Services Index posted the biggest drop in its history, and stock in Barclays, Lloyds, Société Générale, and Santander fell by more than 20 percent, with Deutsche Bank, BNP Paribas, and RBS not far behind (or ahead, as it were). Original post, 9:27 a.m.: A political gambit dreamed up by David Cameron in a pizza place at Chicago-O’Hare Airport is producing one of the worst days in the history of financial markets. A narrow victory for Brexit will likely see the United Kingdom out of the European Union, ending a 50-year period characterized by incremental steps toward financial and political union on the continent. The FTSE 100, which measures the 100 biggest companies on the London Stock Exchange, is down about 4 percent after a midday rally. The FTSE 250—an index of slightly smaller companies considered a more reliable barometer of investor confidence in the U.K. than the internationally oriented FTSE 100—is down 8 percent. Some sectors are worse than others. Barclays and Lloyds are both down by more than 20 percent. The big U.K. homebuilders, like Persimmon, Barratt, and Taylor Wimpey, are down about 25 percent. On their own, those numbers would be bad. Combined with a 9 percent drop in the pound—one of the steepest declines for any currency in 40 years, per the FT—they are terrible. That’s led the Telegraph to proclaim that Britain is now poorer than France. 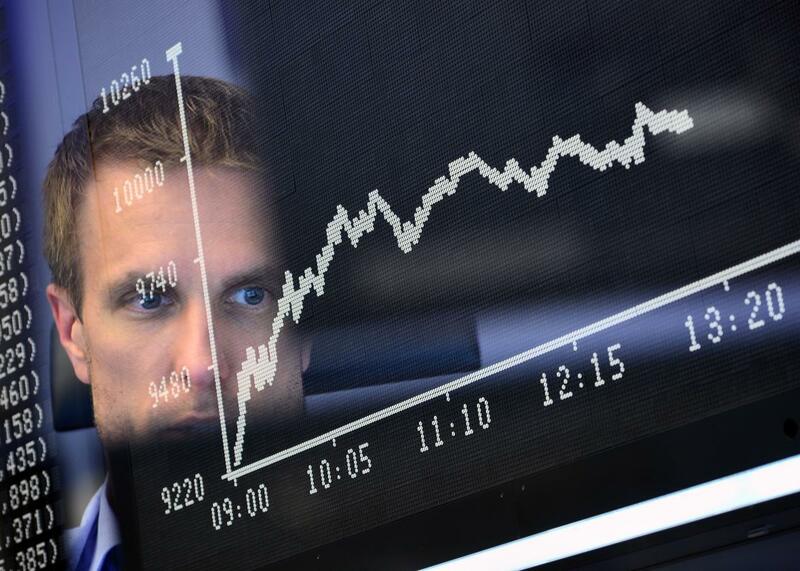 Elsewhere, European stocks are down more than 7 percent; the Nikkei fell by nearly 8 percent. Here in the U.S., futures in the Dow, Nasdaq, and S&P 500 are down 3 to 4 percent. A very bad morning for the FTSE 250, which was down 8 percent at 9:38 a.m. Eastern time. At least in the short term, it looks like the “Remainers” were right about one thing: global financial turmoil. All this comes after big gains Thursday, as traders (and bettors in the U.K.) seemed to reach a consensus that the Remains had it. That was the wisdom conveyed Thursday night by none other than UKIP leader Nigel Farage, who told the Press Association that his “friends in the financial markets” had told him as much.